Anyone who knows me knows that I am definitely not a girlie girl. I don’t wear a lot of make up. I don’t carry a purse. I rarely wear dresses. And I loooooooove me some sports. College football is my biggest weakness. That’s probably not a complete shock, considering I was born and raised in Nebraska. 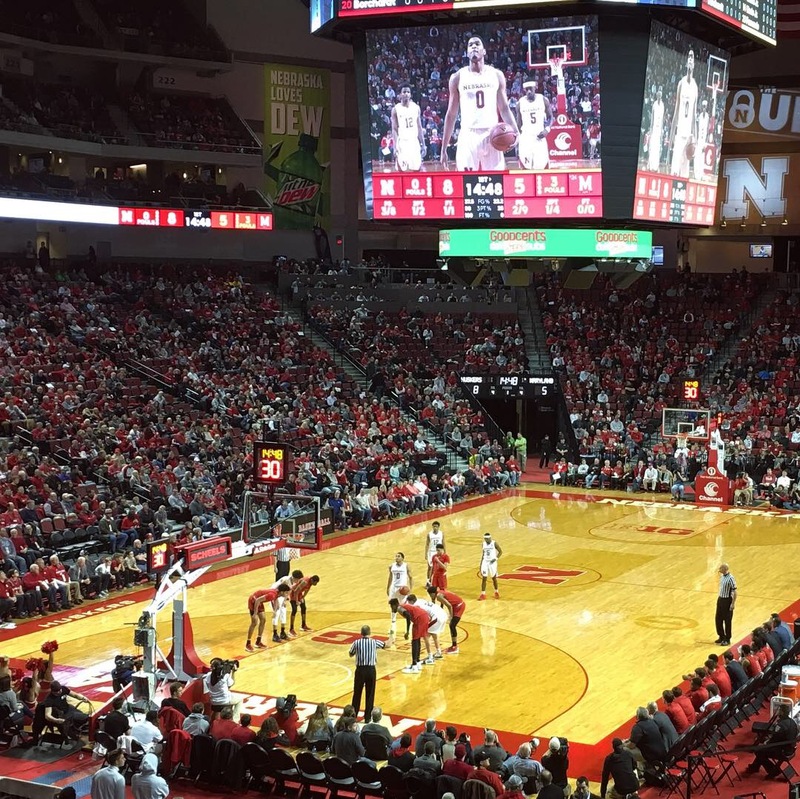 (Go Big Red!!!) 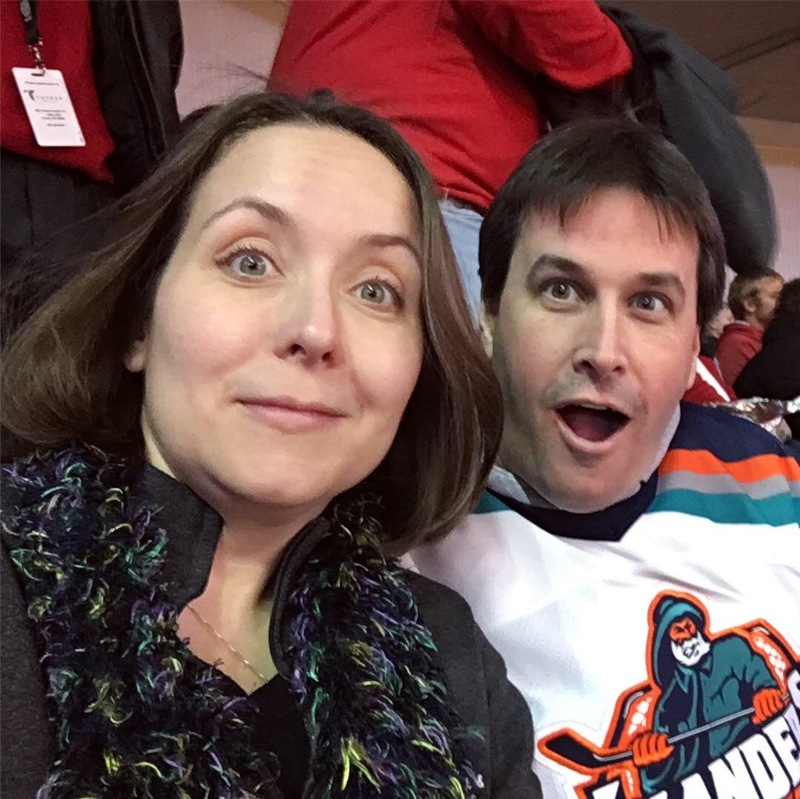 It wasn’t until I started dating my husband, though, that I really started to get interested in other sports. Steven is a die hard Mets, Jets and Islanders fan, but he’s also the type of guy who will watch pretty much any sport. You name it, he’ll stop channel surfing to watch it–baseball, football, basketball, soccer, golf, even curling. He’s obsessed with curling. Hell, he even got me watching it during the last winter Olympics when I was recovering from my c-section and taking care of our newborn daughter. Steven is also the guy responsible for my Fantasy Sports habit. I fell into Fantasy Sports by accident. Steven and his buddies needed another person to fill up one of their leagues a few years back, and I’ve been a junkie ever since. We’ve played fantasy basketball, baseball, football, and have even done a pick ’em football league. I’ve led the pack and been left behind by the herd, and I’ve developed a greater understanding of professional sports in the process. I’m still definitely learning and honing my strategies, but overall I think I’ve turned into a formidable opponent. Hell, I’ve even started amassing a rather impressive collection in my trophy case–a 3rd place basketball in 2008, 3rd place basketball in 2009, 1st place baseball in 2010 and 1st place pick ’em football in 2010. 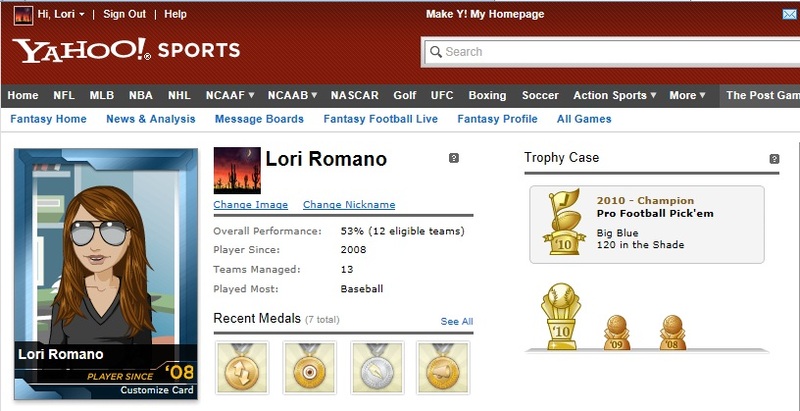 Just last week, I clinched the 2011 baseball playoffs. I think it might be time to clear a new spot in my trophy case. But, hands down, the best thing about playing fantasy sports… seeing the guys squirm when they get beat by a girl. Tonight’s 365 Project entry is dedicated to my husband and our friends for being such good sports (well, most of them at least), and to the fine folks over at Yahoo for the free leagues we play in.